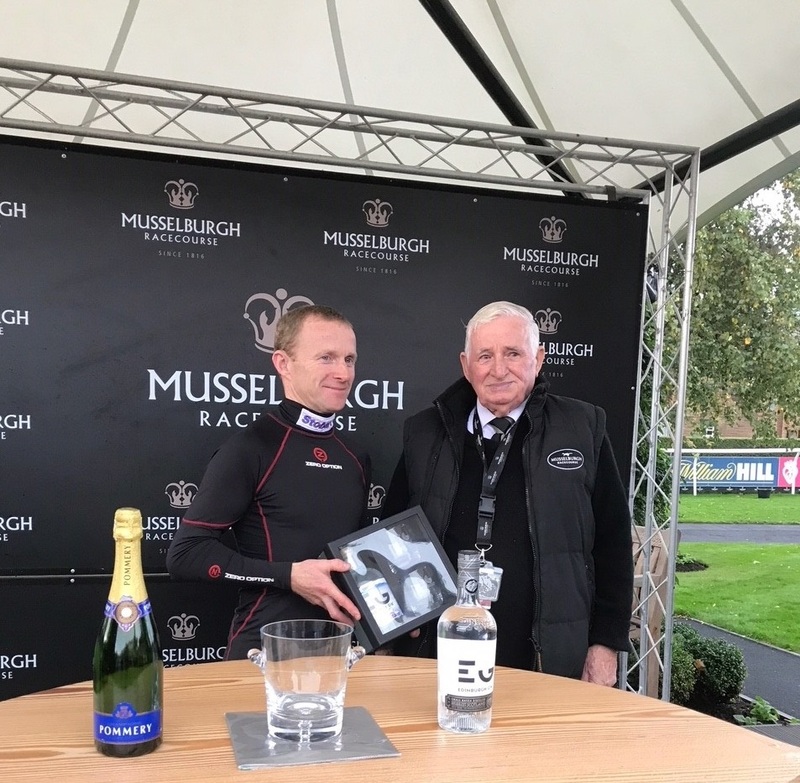 Yorkshire-based jockey Joe Fanning has been crowned Musselburgh Racecourse’s Edinburgh Gin Champion Jockey with 17 wins over the 2017 Flat season, finishing eight points ahead of nearest rival Connor Beasley, while the top performing trainer was Carluke-based Keith Dalgleish who notched up 14 wins. The East Lothian course brought the curtain down on the Flat season on Monday (Oct 16) with news that it has been nominated as a finalist in the Racecourse Association’s Showcase & Awards. This is the eighth annual RCA Showcase & Awards, the gala event of British racecourses that annually celebrates first class customer experience, in partnership with Moët Hennessy and Racing Post. Musselburgh has been nominated in the Best Campaign category for its inaugural Easter Saturday meeting which featured the first running of the £100,000 totepool Queen’s Cup, a stayers handicap over 1m 6f. The meeting boasted prize money of more than £250,000 and pulled in a crowd 5000-plus crowd, who were delighted to see up close the newly crowned Grand National winner One For Arthur. The Best Campaign category celebrates excellence in the sphere of marketing, increasing the appeal of racing to new audiences and improving the frequency of visits amongst customers. Entrants were asked to demonstrate the clear strategy and execution used for the campaign by means of a multi-tiered approach to engage with a target audience. Stephen Atkin, RCA chief executive, said: “It is a highlight of our year to see all of the quality Showcase Awards submissions go before the judges to measure the impact and growth of the initiatives that our racecourses have delivered and clearly Musselburgh have enjoyed an excellent year. Musselburgh will learn if it has been successful at an awards ceremony at Newbury Racecourse next month (16 Nov) along with other finalists Ascot, Pontefract, Sandown Park and Windsor. The opening fixture of Musselburgh’s 2017-18 National Hunt season takes place on Wednesday 8 November. For further information on all National Hunt fixtures and to book tickets for Monday or other meetings visit www.musselburgh-racecourse.co.uk.